Brilliant pictures and videos inside cavities, shafts and pipes. Set includes handheld unit c/w 4 x AA batteries, LR6 removable control unit with radio signal transmission, 3.5" TFT LCD colour display display with integrated Li-Ion battery, 2 GB Micro SD card, 16mm colour camera with dimmable white LEDs and fixed focus, 1m push cable, add on mirror, add on hook, add on magnet, charger, USB cable, video cable and sturdy carrying case. 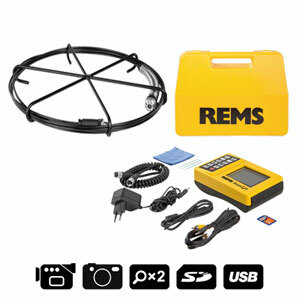 Lightweight, extremely portable device for inspection of enclosed or difficult to access areas such as cavities, shafts, trunking, suspended ceilings and pipes. Permanent record of images and videos can be saved on the micro SD card and played back on the unit or other PC or laptop. 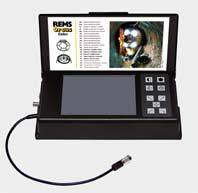 3.5" TFT LCD colour display receives images and video from the main unit via radio link and can therefore be removed from the main unit and viewed remotely, extremely handy for overhead and confined areas. Push cable extensions available in 900mm lengths for extra long runs up to 4.5m. 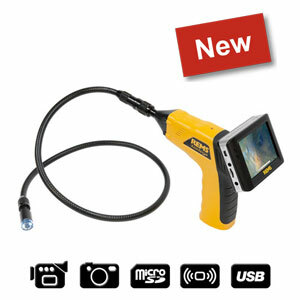 Super light, handy camera inspection system for inexpensive inspection and damage analysis of pipes, drains, chimneys and other hollow spaces. Also for inspections after pipe cleaning jobs and before commissioning of new installations or repairs. REMS Orcus Color â€“ brilliant pictures in pipes and drains. 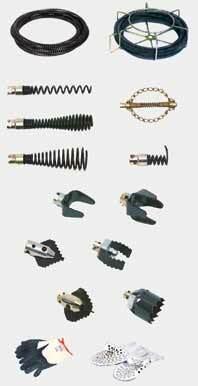 Selection of exchangeable cable sets and exchangeable camera heads for different requirements. Economic exchange from black and white to color and vice versa. Exchangeable camera head color with special color camera and connection to push cable. Exchangeable camera head b/w with high resolution black and white camera and connection to push cable. Exchangeable camera head S-color with special high resolution color camera and connection to push cable. Choice of 20 m push cable in cable carrier or 30 m push cable in pivoted cable carrier. Push cable with length marks, with connections for controller unit and exchangeable camera heads. 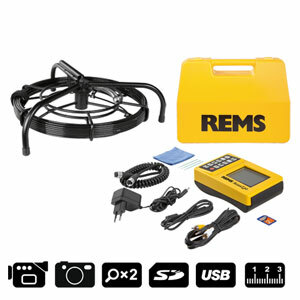 Universal exchangeable cable sets for all REMS exchangeable camera heads. Bend-proof push cable in hybrid technology, with glass fibre core, data lines and plastic coating, very sturdy, for long service life. Rugged, powder coated, easy-to-clean cable carrier. Pivoted cable carrier for easy reeling of cable. 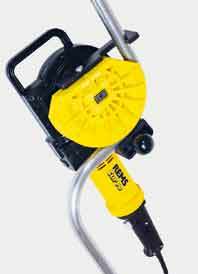 Handy, robust, compact machines for versatile use in pipe and drain cleaning. High-speed rotator with connectable cable sections. Proven technology. For pipes Ã˜ 20â€“250 mm. For pipe and drain cleaning cables Ã˜ 8, 16, 22, 32 mm. All pipe and drain cleaning cables and tools can also be used for other makes. REMS Cobra â€“ clear pipe â€“ easy and fast. High-speed rotator with cable sections for work length up to 100 m. Effective chain knocking and milling up to 740 rpm. Closed drive spindle protects motor and drive against dirt and water. Large assortment of pipe and drain cleaning tools, also for pipe and drain cleaning machines of other makes. 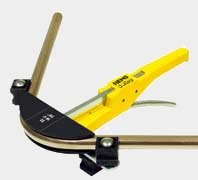 Proven hand unit for quick application to remove pipe blockages in kitchen, bath, toilet. For pipes Ã˜ 20â€“50 (75) mm. For cables Ã˜ 6, 8, 10 mm. REMS Mini-Cobra â€“ by hand or electric. Indispensable to remove small blockages. Electric drain cleaning machine with automatic feed-forward and reverse. For effortless and quick application to remove pipe blockages in kitchen, bath, toilet. 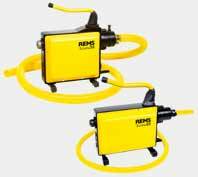 REMS Mini-Cobra A - quick removal of blockages. With automatic feed-forward and reverse.